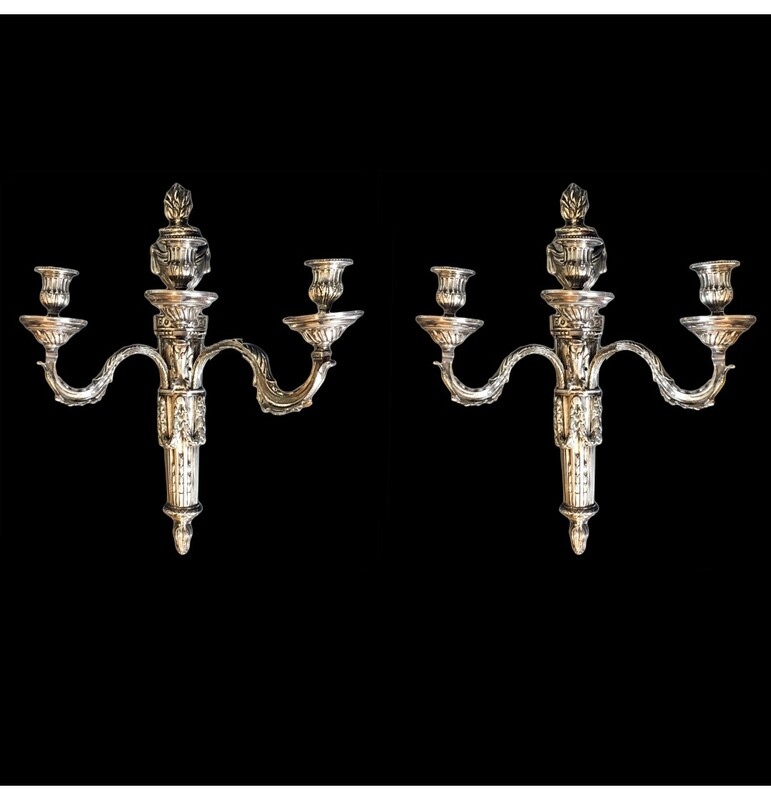 Pair Louis XVI Style Silver Over Bronze Sconces – Pair of Louis XVI style silver over bronze sconces. France. 19th century.